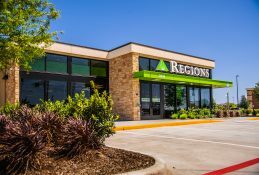 BIRMINGHAM, Ala.– Regions Financial Corporation (NYSE:RF) today announced earnings for the fourth quarter and full year ended December 31, 2018. For the fourth quarter, the company reported net income available to common shareholders from continuing operations of $390 million, a 28 percent increase compared to the fourth quarter of 2017. Earnings per diluted share from continuing operations were $0.37, a 42 percent increase. For the full year of 2018, the company reported record net income available to common shareholders from continuing operations of $1.5 billion, a 28 percent increase over the prior year, and strong earnings per diluted share from continuing operations of $1.36, a 39 percent increase. Pre-tax pre-provision income increased 9 percent over the prior year, generating approximately 1.5 percent in positive operating leverage. Adjusted pre-tax pre-provision income(1) was at its highest level since 2007, increasing 12 percent over the prior year, generating approximately 3.6 percent in positive operating leverage on an adjusted basis(1). Full-year 2018 net income available to common shareholders was $1.7 billion, a 41 percent increase over the prior year. Earnings per diluted share were $1.54, a 54 percent increase. 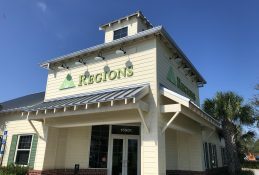 Total net income available to common shareholders includes an after-tax gain of $196 millionassociated with the sale of Regions Insurance reflected within discontinued operations. * 2018 discontinued operations includes a $196 million after-tax gain associated with the sale of Regions Insurance. Net interest income and other financing income increased 6 percent on a reported basis, and net interest margin was 3.50 percent, up 18 basis points. Net interest income and other financing income increased 5 percent on an adjusted basis(1), and net interest margin was 3.50 percent, up 17 basis points on an adjusted basis(1). Non-interest income increased 3 percent on a reported basis, and 4 percent on an adjusted basis(1). Non-interest expenses increased 2 percent on a reported basis, but remained relatively stable on an adjusted basis(1). Regions reported an efficiency ratio of 61.5 percent, and 59.3 percent on an adjusted basis(1), an improvement of 90 and 210 basis points, respectively. Regions generated positive operating leverage, on a tax-equivalent basis, of approximately 1.5 percent on a reported basis, and 3.6 percent on an adjusted basis(1). Effective income tax rate decreased from 33.3 percent to 19.8 percent reflecting the impact of tax reform. Average loans and leases increased 1 percent to $80.7 billion; adjusted(1) loans and leases increased 2 percent. Consumer lending balances remained relatively stable on a reported basis, and increased 3 percent on an adjusted basis(1). Average deposits decreased 3 percent to $94.4 billion. Net charge-offs increased 2 basis points to 0.40 percent of average loans on a reported basis and 1 basis point to 0.39 percent on an adjusted basis(1). Non-performing loans, excluding loans held for sale, decreased 21 basis points to 0.60 percent of loans outstanding. Allowance for loan and lease losses decreased 16 basis points to 1.01 percent of total loans. Allowance for loan and lease losses as a percent of non-performing loans increased to 169 percent from 144 percent. Business services criticized loans decreased 22 percent, including a 32 percent decrease in business services classified loans, while total troubled debt restructured loans, excluding loans held for sale, decreased 36 percent. * 3Q18 discontinued operations includes a $196 million after-tax gain associated with the sale of Regions Insurance. Net interest income and other financing income increased 2 percent, and net interest margin was 3.55 percent, up 5 basis points. Non-interest income decreased 7 percent on a reported and adjusted basis(1). Non-interest expense decreased 7 percent on a reported basis, and 1 percent on an adjusted basis(1). Average loans and leases increased 1 percent to $81.9 billion; adjusted(1) loans and leases increased 1 percent. Consumer lending balances remained relatively stable on a reported basis, and increased 1 percent on an adjusted basis(1). Average deposits decreased 1 percent to $93.2 billion. Annualized net charge-offs increased 6 basis points to 0.46 percent of average loans. Non-performing loans, excluding loans held for sale, decreased 6 basis points to 0.60 percent of loans outstanding. Allowance for loan and lease losses decreased 2 basis points to 1.01 percent of total loans. Allowance for loan and lease losses as a percent of non-performing loans increased to 169 percent from 156 percent. Business services criticized loans decreased 5 percent while business services classified loans remained relatively stable; total troubled debt restructured loans, excluding loans held for sale, decreased 14 percent. Net interest income and other financing income increased 6 percent; net interest margin increased 18 basis points. Net interest income and other financing income increased 6 percent on an adjusted basis(1); net interest margin increased 16 basis points on an adjusted basis(1). Non-interest income decreased 7 percent on a reported basis, and 5 percent on an adjusted basis(1). Non-interest expense decreased 7 percent on a reported basis, and 3 percent on an adjusted basis(1). Average loans and leases increased 3 percent on a reported basis, and 4 percent on an adjusted basis(1). Consumer lending balances remained relatively stable on a reported basis and increased 3 percent on an adjusted basis(1). Business lending balances increased 5 percent. Average deposits decreased 4 percent. Annualized net charge-offs increased 15 basis points to 0.46 percent of average loans. * Based on income taxes at an approximate 25% incremental rate beginning in 2018, and 38.5% for all prior periods. Tax rates associated with leveraged lease terminations are incrementally higher based on their structure. 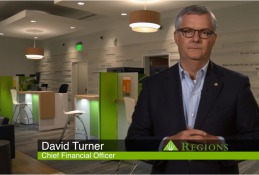 Regions continues to focus on increasing organizational efficiency and effectiveness. Recent actions include streamlining its structure and refining its branch network while making investments in new technologies, delivery channels and other drivers of growth. The company incurred $7 million of severance expense during the fourth quarter, as well as $3 million of expenses associated with branch consolidation, property and equipment charges. ** These market value adjustments relate to assets held for employee benefits that are offset within salaries and employee benefits expense. Total revenue of approximately $1.4 billion in the fourth quarter decreased approximately 2 percent on a reported basis and 1 percent on an adjusted basis(1) compared to the prior quarter. Net interest income and other financing income increased $16 million or 2 percent over the prior quarter and net interest margin rose 5 basis points to 3.55 percent. Net interest margin and net interest income and other financing income benefited from higher interest rates partially offset by higher funding costs. Net interest income and other financing income also benefited from higher average loan balances. Non-interest income decreased $38 million or 7 percent on a reported basis, and $34 million or 7 percent on an adjusted basis(1),as increases in service charges and capital markets income were offset by decreases in market value adjustments on employee benefit assets, bank-owned life insurance, mortgage and other non-interest income. Capital markets income increased 11 percent primarily attributable to higher loan syndication income, fees generated from the placement of permanent financing for real estate customers, and merger and acquisition advisory services partially offset by lower customer interest rate swap income. Swap income declined approximately $6 million due to negative market value adjustments at year-end. Market volatility in the fourth quarter also drove significant valuation declines in assets held for employee benefits and negatively impacted bank-owned life insurance income. Market value adjustments on total employee benefit assets decreased $22 million, and bank-owned life insurance income decreased $6 million. Mortgage income decreased 6 percent primarily due to seasonally lower production and sales revenue, partially offset by higher hedging and valuation adjustments on residential mortgage servicing rights and an increase in servicing income. 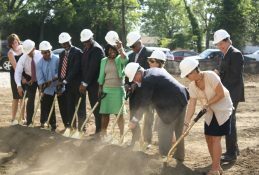 During the quarter, the company also completed the purchase of rights to service approximately $2.7 billion of additional residential mortgage loans. The decrease in other non-interest income was attributable primarily to a net $3 million decline in the value of certain equity investments in the fourth quarter compared to a net $8 million increase in the third quarter. In addition, $4 million of third quarter leveraged lease termination gains did not repeat. Total revenue increased 2 percent on a reported and adjusted basis(1) compared to the fourth quarter of 2017. Net interest income and other financing income increased 6 percent, and net interest margin increased 18 basis points. On an adjusted basis(1), net interest income and other financing income increased 6 percent and net interest margin increased 16 basis points. Net interest margin and net interest income and other financing income benefited primarily from higher interest rates partially offset by higher funding costs, as well as a mix shift within the consumer loan portfolio into higher yielding products. Net interest income and other financing income also benefited from higher average loan balances. Non-interest income decreased 7 percent on a reported basis and 5 percent on an adjusted basis(1) as growth in service charges, card and ATM fees, and wealth management income was offset by decreases in market value adjustments on employee benefit assets, capital markets, mortgage, bank-owned life insurance and other non-interest income. 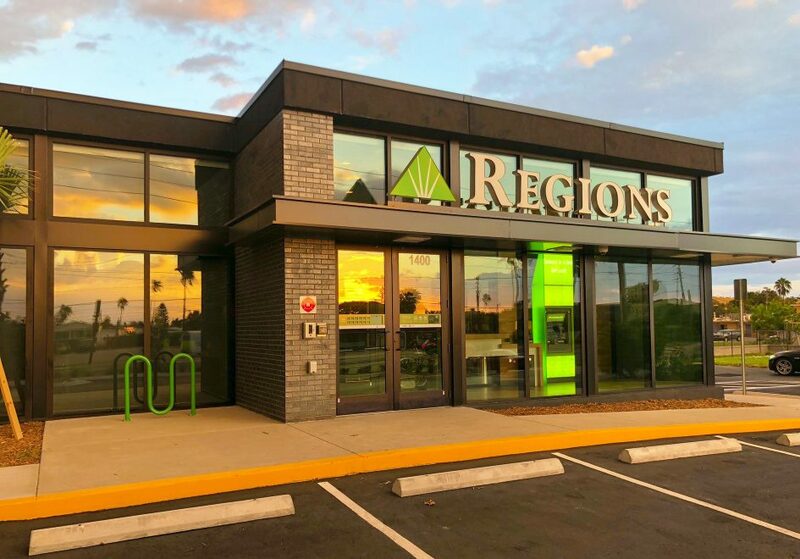 Service charges income increased 8 percent reflecting continued customer account growth, and card and ATM fees increased 5 percent primarily due to higher interchange revenue associated with increased transactions and new account growth. Wealth management income increased 5 percent led by growth in investment services income. Market volatility in the current quarter drove significant valuation declines in assets held for employee benefits and negatively impacted bank-owned life insurance income. Market value adjustments on total employee benefit assets decreased $21 million, and bank-owned life insurance income decreased $8 million. Capital markets income decreased 11 percent reflecting lower merger and acquisition advisory services, fees generated from the placement of permanent financing for real estate customers, and customer interest rate swap income. Mortgage income decreased 17 percent attributable primarily to lower secondary marketing gains and lower production. 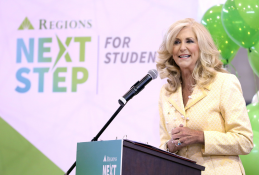 Non-interest expense decreased 7 percent compared to the third quarter due primarily to a $60 million contribution to the Regions Financial Corporation Foundation during the prior quarter reflected in other non-interest expense. On an adjusted basis(1), non-interest expense decreased 1 percent primarily due to a reduction in salaries and benefits, professional fees, and FDIC insurance assessments. These reductions were partially offset by increases in occupancy expense. Salaries and benefits decreased 1 percent reflecting the benefit of staffing reductions. This decline was partially offset by one additional workday in the fourth quarter and an increase in incentive-based compensation. Professional fees decreased 16 percent attributable to lower legal fees, and FDIC insurance assessments decreased 36 percent reflecting the discontinuation of the FDIC’s surcharge. 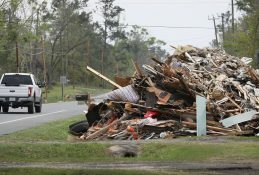 Occupancy expense increased 5 percent attributable to storm-related charges associated with Hurricane Michael. The company’s reported fourth quarter efficiency ratio was 58.7 percent and 58.1 percent on an adjusted basis(1). The fourth quarter effective tax rate was approximately 17 percent reflecting beneficial adjustments for certain state tax matters and retrospective tax accounting method changes finalized in the quarter. The effective tax rate was approximately 20 percent for the full-year 2018. 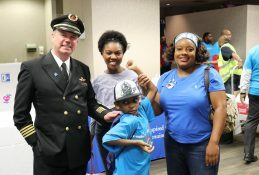 Non-interest expense decreased 7 percent compared to the fourth quarter of the prior year primarily due to a $40 million contribution to the Regions Financial Corporation Foundation during the prior year reflected in other non-interest expense. On an adjusted basis(1),non-interest expense decreased 3 percent primarily due to lower salaries and benefits, FDIC insurance, and Visa class B shares expense, partially offset by increases in occupancy, professional fees, and provision for unfunded credit losses. 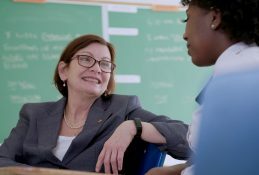 Salaries and benefits decreased 2 percent compared to the fourth quarter of the prior year, and 3 percent excluding the impact of severance charges, reflecting the impact of staffing reductions. This decline was partially offset by one additional workday in the current year quarter and an increase in incentive-based compensation. 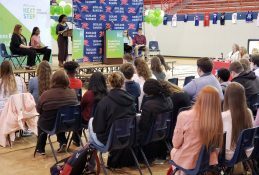 Staffing levels declined by 1,045 full-time equivalent positions or 5 percent from the fourth quarter of the prior year. Average loans and leases increased 1 percent to $81.9 billion in the fourth quarter. Adjusted(1) average loans and leases increased 1 percent reflecting broad-based growth across the business and consumer lending portfolios. Average balances in the business lending portfolio increased 2 percent. Growth in commercial and industrial loans was broad-based across the corporate and middle market portfolios, driven by specialized lending, government and institutional banking, and real-estate investment trust portfolios. Owner-occupied commercial real estate loans decreased modestly, while investor real estate loans increased 3 percent driven by growth in term lending primarily within the office and industrial property types. Adjusted(1) average consumer loans increased 1 percent with growth led by a 12 percent increase in indirect-other consumer, a 2 percent increase in consumer credit card, and a modest increase in residential first mortgage loans partially offset by a 2 percent decline in home equity lending. Average loans and leases increased 3 percent compared to the fourth quarter of 2017, and adjusted(1) average loans increased 4 percent. Average balances in the business lending portfolio increased 5 percent as growth in commercial and industrial loans was partially offset by a decline in owner-occupied commercial real estate loans. Investor real estate loans increased 3 percent driven primarily by growth in term lending. Adjusted(1) average consumer balances increased 3 percent as growth in indirect-other consumer, residential first mortgage, indirect-vehicle, consumer credit card, and other consumer loans was partially offset by declines in home equity lending. Total average deposit balances decreased less than 1 percent to $93.2 billion in the fourth quarter. Average deposits in the Consumer segment decreased $318 million or 1 percent and Corporate segment average deposits decreased $240 million or 1 percent. Average deposits declined approximately 3 percent in the Wealth Management segment and included the impact of ongoing strategic reductions of certain collateralized deposits. Average deposits in the Other segment also decreased modestly. Total average deposit balances decreased 4 percent from the prior year as growth in average Consumer segment deposits was offset by strategic reductions in Wealth Management and Other segment deposits. In addition, Corporate segment deposits decreased $2.0 billion or 7 percent primarily due to customers using liquidity to pay down debt or invest in their businesses. Overall asset quality reflected seasonality during the fourth quarter. Total non-performing, criticized and troubled debt restructured loans all declined, while net charge-offs and delinquencies increased. Total non-performing loans, excluding loans held for sale, decreased to 0.60 percent of loans outstanding, the lowest level since 2007. Business services criticized and total troubled debt restructured loans decreased 5 percent and 14 percent, respectively. Annualized net charge-offs increased 6 basis points to 0.46 percent of average loans. The provision for loan losses approximated net charge-offs, and the resulting allowance for loan and lease losses totaled 1.01 percent of total loans outstanding and 169 percent of total non-accrual loans. Delinquent loans 90 days or more past due also increased modestly. Overall asset quality remains within our stated risk appetite, and volatility in certain credit metrics can be expected. Annualized net charge-offs increased 15 basis points compared to the fourth quarter of 2017, while the allowance for loan and lease losses as a percent of total loans decreased 16 basis points. Total non-performing loans, excluding loans held for sale, decreased 24 percent and total business services criticized loans decreased 22 percent, including a 32 percent decline in classified loans. In addition, total troubled debt restructured loans, excluding loans held for sale, decreased 36 percent. Under the Basel III capital rules, Regions’ estimated capital ratios remain well above current regulatory requirements. The Tier 1(2) and Common Equity Tier 1(2) ratios were estimated at 10.7 percent and 9.9 percent, respectively, at quarter-end under the phase-in provisions. In addition, the Common Equity Tier 1 ratio(1)(2) was estimated at 9.8 percent on a fully phased-in basis. During the fourth quarter, the company repurchased 22.0 million shares of common stock for a total of $370 million through open market purchases and declared $144 million in dividends to common shareholders. On October 24, 2018, the Company’s accelerated share repurchase agreement closed and final settlement resulted in an additional delivery of 8.75 million shares of common stock on October 29, 2018, bringing the total shares repurchased under the agreement to 37.8 million. The company’s loan-to-deposit ratio at the end of the quarter was 88 percent, and as of quarter-end, the company remained fully compliant with the liquidity coverage ratio rule. A replay of the earnings call will be available beginning Friday, January 18, 2019, at 2 p.m. ET through Monday, February 18, 2019. To listen by telephone, please dial 1-855-859-2056, and use access code 6691007. 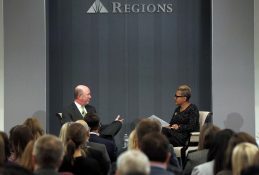 An archived webcast will also be available on the Investor Relations page of www.regions.com. Current and future economic and market conditions in the U.S. generally or in the communities we serve, including the effects of possible declines in property values, increases in unemployment rates and potential reductions of economic growth, which may adversely affect our lending and other businesses and our financial results and conditions.